You’ve decided to build your own dream home rather than buy an existing structure. You need to acquire land, find a builder, develop a plan, and secure funding for construction. Do you need a mortgage? A traditional loan? Home construction loans exist to help you build the home of your dreams. They’re distinctly different from mortgages, but those differences can be confusing. 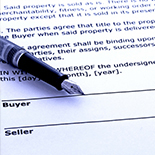 Home construction loans are short-term agreements that generally last for a year. Mortgages, on the other hand, have varying terms and range anywhere from 5 to 30 years in length. 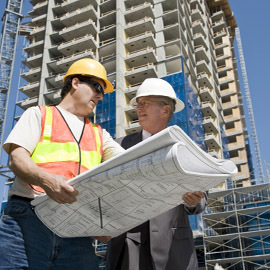 Most construction loans will not penalize you for early repayment of the balance. Mortgages will occasionally have penalties for early repayment. These penalties will vary from lender to lender. Construction loans only charge interest on the amount of the loan used during the construction. If the whole amount is not used, the borrower won’t have to pay the whole interest amount. Mortgages charge borrowers interest on the entire amount of the loan. 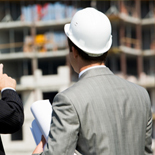 Construction loans can provide you with upfront funds to purchase land you wish to build on. Mortgages do not generally service land purchases. Any remaining costs of construction can be paid down by acquiring a mortgage on the home once it’s completed. Your mortgage terms will vary from lender to lender, but will generally last for 10 to 30 years, depending on your interest rate and monthly payments. Home loans and construction loans are different, but at Granite Companies, we can help you find the right loan for the project. Contact us today to discuss your project!